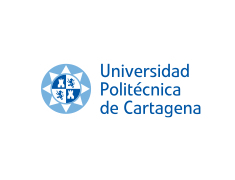 The Universidad Politécnica de Cartagena (UPCT) is the fourth-largest technical university in Spain. The courses offered by the UPCT include Doctoral and Postgraduate Studies, and specialisation in certain fields of study and research training necessary for the preparation of a doctoral thesis. The UPCT is also dedicated to the preparation of its students for the professional world, opening their minds to the most recent discoveries and developments. 64 active research and development groups in the UPCT offer a place, not only for the spreading of knowledge, but also a source of scientific and technological progress, promoting joint research and scientific exchange programmes with public and private organisations, and numerous universities. The UPCT organises lectures and seminars in various areas of science and technology, which also help to strengthen the links between the University and the world of industry. The research group within UPCT in charge of carrying out the work proposed in the In4Wood project (GIRTEL, http://girtel.upct.es) has a recognized track of teaching and research activities, as well as training students and in the technology transfer. The members of GIRTEL actively participate in national and international research projects as well as contracts with companies. The main topics of their works are the networks convergence in the Future Internet, new paradigms in the elastic networks, Cloud and Fog Computing, RFID technologies, Wireless Optical Networks, Planning and Simulation of traffic networks, etc.